While she had made a few other appearances in Little Rock during her reign as Miss America, on May 11, 1964, Donna Axum appeared in concert at Robinson Auditorium. She sang with the Arkansas Symphony (not directly connected with the current Arkansas Symphony Orchestra) and the Arkansas Choral Society. The concert was part of the Arkansas State Festival of the Arts which was an annual event from the late 1950s until the mid 1960s. Miss Axum’s most recent appearance at Robinson was last June when she appeared, along with several other former Miss Arkansas title holders, at the 2017 Miss Arkansas pageant. She was joined on stage by Savvy Shields, who like Miss Axum, was a former Miss Arkansas who held the title of Miss America. The word “Entertainer” seemed to have been invented for Betty Fowler. Born in Wynne, her love for music began at age 9, when she started taking piano lessons. Betty began her illustrious career at age 18 after winning a talent contest, which gave her the push she needed to pursue her life’s passion. Betty graduated from Little Rock Jr. College in 1944. She spent most of her life in Little Rock as a popular musician and television entertainer. Betty began her musical career on a statewide radio show. She moved on to become a television performer in the early 1950’s in Little Rock with what is now known as Channel 7. She was best known for her children’s TV show, “Betty’s Little Rascals”, which began in 1955. She went on to co-host the “Little Rock Today Show” on Channel 4 with Bud Campbell, where she did live commercials, played the piano and interviewed celebrities who came to town, such as Liberace, Sammy Davis Jr., Bob Hope, Red Buttons and Robert Goulet. Through the years, Betty maintained a vigorous schedule with her band, “The Betty Fowler Four”, which produced a record album of her music. She was also musical director for The Miss Arkansas Pageant (1960-84), Musical Director for Broadway musicals produced by the Community Theater, Musical Director for the Farkleberry Follies and The Gridiron. 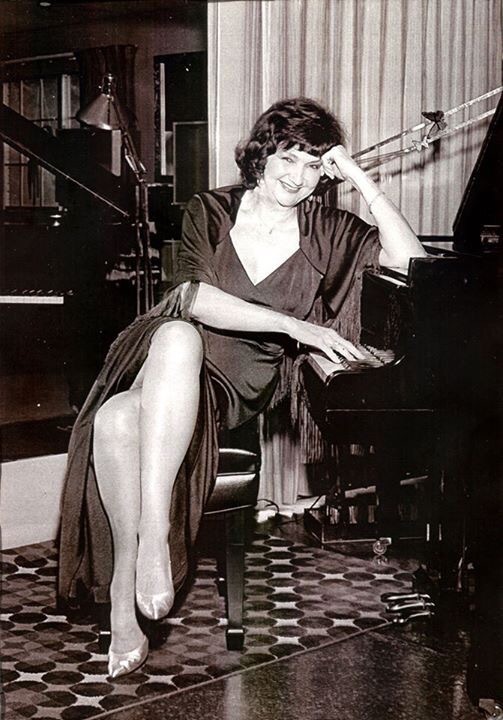 For many years, Betty taught piano and had a recording studio in her home, where she gave voice coaching lessons and made accompany tapes for many aspiring performers. Betty Fowler will forever be remembered and treasured for her lifetime love and devotion to the world of music, both in performing and in the teaching of music to others. Tonight a new Miss America will be crowned. Arkansas’ own Savvy Shields will conclude her whirlwind year as the third Miss America to come from the Natural State. Earlier this year, two of Arkansas’ three Miss Americas were in Little Rock for the Miss Arkansas pageant. So as Savvy wraps up her reign, it seems a good time to remember when Donna Axum first brought the Miss America title to Arkansas. Arkansas entertainer icon Betty Fowler died Saturday, April 15, 2017. The information below is adapted from her obituary. Betty was born on September 17, 1925 in Wynne, Arkansas to the late Harry Willis Hunter and Elizabeth Sands Hunter. Her love for music began at age 9, when she started taking piano lessons. Betty began her illustrious career at age 18 after winning a talent contest, which gave her the push she needed to pursue her life’s passion. Betty graduated from Little Rock Jr. College in 1944. She spent most of her life in Little Rock as a popular musician and television entertainer. For many years, Betty taught piano and had a recording studio in her home, where she gave voice coaching lessons and made accompany tapes for many aspiring performers. Betty Fowler will forever be remembered and treasured for her lifetime love and devotion to the world of music, both in performing and in the teaching of music to others. Today, Miss America 2017 Savvy Shields comes to Little Rock as part of her official homecoming to Arkansas after winning the crown. 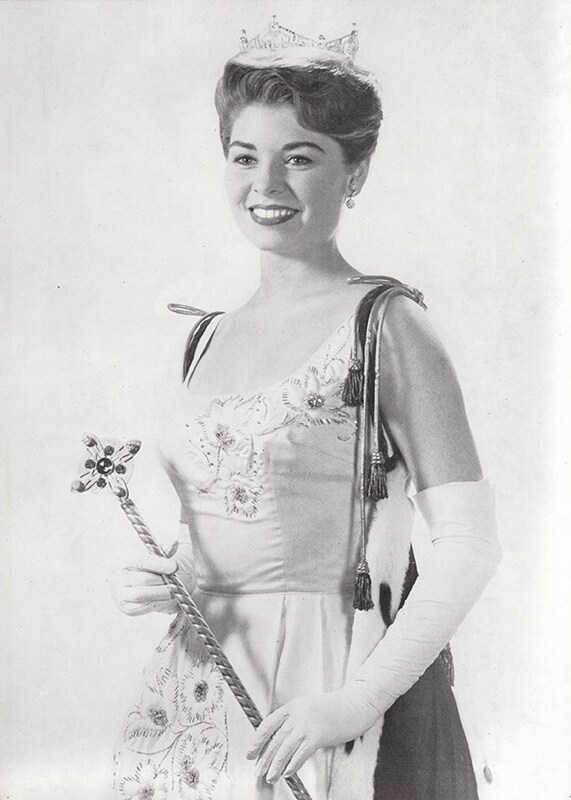 In honor of that, we take a look back to the first visit to Arkansas by Donna Axum, who was the first Miss Arkansas to win the title of Miss America. After being crowned on September 7, 1963, her first visit to Arkansas was November 1 through 3. In addition to stops in Hot Springs and El Dorado, she appeared in Little Rock to attend events including an Arkansas Razorback football game at War Memorial Stadium. Her entourage included the top four runners up from the Miss America pageant.